Sonoran Desert Toads exude toxic secretions that, if ingested, can cause hallucinations, paralysis or even death in dogs. Sonoran Desert Toads are the largest toad in the U.S. measuring up to 7 inches in length. They are olive green to brown in color with smooth but lumpy skin. They have horizontal pupils and prominent parotoid glands. These glands are located behind the eye and secrete chemicals that are toxic to potential predators. They also have large glands on their hind limbs and white tubercles ( a small knobby bump) at the corners of their mouths. They eat primarily insects but large individuals will occasionally eat small lizards and amphibians including other toads. Adults are primarily nocturnal but are active day and night during the breeding season. They usually breed in temporary pools formed by the monsoon rains. I have frequently seen them mating in the pools just downstream from the dam in lower Sabino. 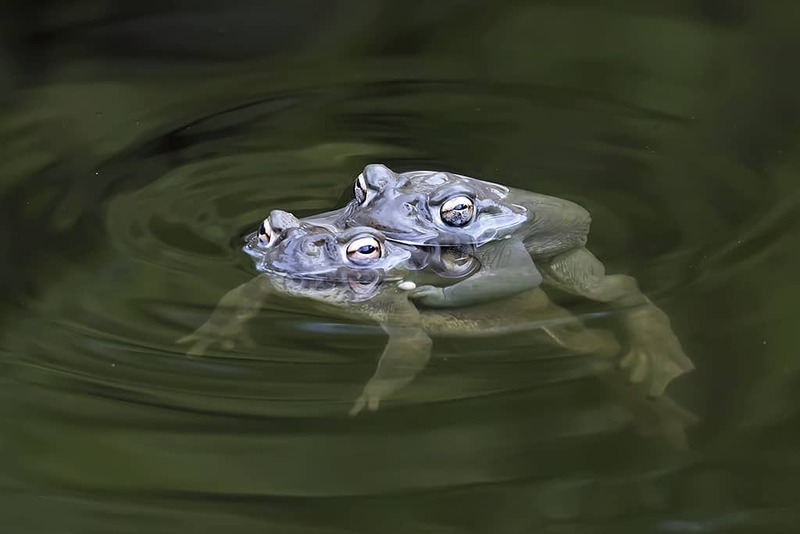 These toads usually begin mating on a predictable schedule. Mating is triggered by the first good afternoon or evening rain in the area, but the toads do not come out that first night; they almost always wait until the night after that. The larvae metamorphose after 6 to 10 weeks. This species lives at least 10 years, and perhaps as many as 20 years. 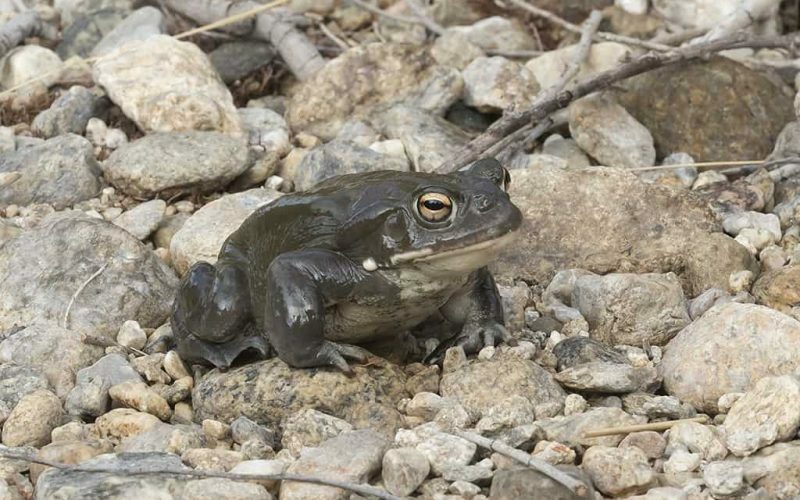 The only other large Frog/Toad found in Sabino canyon is the American Bullfrog. These are also olive green to brown in color but lack the prominent parotoid glands behind the eye. American Bullfrogs are native to the eastern U.S., are an introduced species in Arizona and a threat to a host of native species. Sonoran Desert Toads exude toxic secretions that, if ingested, can cause hallucinations, paralysis or even death in dogs. Dogs foam at the mouth after licking a Sonoran Desert Toad. In case this happens I’ve been told to wash the dog’s mouth from back to front with a garden hose being careful that the dog does not swallow any of the water. I suspect this is easier said than done. The dog should then be taken to a veterinarian. Amphibians and Reptiles in Arizona, Brennan and Holycross. Amphibians, Reptiles, and their habitats at Sabino Canyon. Personal correspondence with David Lazaroff.